You may not know it, but what goes into our stomach goes a long way in determining how we look. When you eat the right food with the right amount of nutrients, it puts the body in perfect condition and complements workout routines. On the other hand, working out but maintaining a wrong diet is like taking one step forward and two steps back. Eating a balanced diet and being physically active are two of the most important things you can do to become and remain healthy at any age. Although your diet choices may depend on your fitness goals, eating well overall is essential to having a sound physical health, and without being too strict with yourself, you can make healthy food choices that will enhance your nutrition and physical fitness program. Here are some food choices to help enhance your physical fitness. We have a feeling we won’t need to make much effort to convince you on this one, lol. 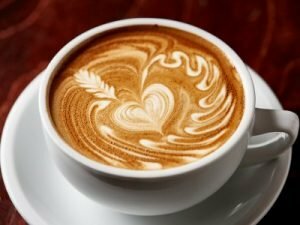 A lot of people consume coffee several times every day. Coffee can enhance physical endurance and stamina, making a long run or ride feel easier. The longer you work out, the better it is for your body. With essential elements like water, muscle-healing protein, refueling sugar, and bone-healthy calcium in every glass, milk is great for the human frame as it contains carbohydrates to give you energy and protein to repair tissues. Milk is a MUST for those who love to work out. Consuming a glass of milk just before you go to bed can result in a peaceful night’s sleep. You can have sweet potatoes in many forms: baked, fried, mashed, boiled and more. 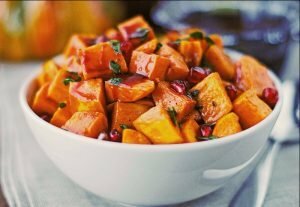 They also contain disease-fighting beta-carotene, iron, fiber, and vitamin C. Sweet potatoes are a good addition to a carb-loading diet before a long race, as they keep muscle pulls and leg cramps away. As well as being loaded with vitamin C, tomatoes contain a powerful antioxidant called lycopene, which can fight and eliminate cancer. Adding them to your weight-loss diet is a great idea since it cuts through fat like butter (ironic, LOL). The fruit has been linked with natural fat burning hormones in the body such as leptin, a type of protein that helps regulate metabolic rate and appetite. Bananas are the perfect fitness food that is compact, unfussy, easy to chew, and packed with nutrients like potassium and mood-boosting serotonin. Bananas are slightly higher in energy than other fruits, but the calories come mainly from carbohydrates, which makes them brilliant for refueling before, during, or after a workout. They’re also packed with potassium, which may help with muscle cramps during exercise. Cocoa is especially nutritious, being rich in magnesium, antioxidants, and amino acids. To get the full benefit, you need to get as close to the whole bean as possible. Cocoa nibs or powder are best – sprinkle on yogurt and fruits. The good thing is that the most common form in which cocoa is consumed is chocolate, so even when you indulge yourself in that chocolaty treat, there’s a healthy side to it. Water is the primary element every living being needs to survive and humans are no different. It is also the primary liquid you’ll need to achieve peak physical fitness. There are many health benefits of drinking water. One of the best is to help your skin purify its impurities. You can not have a clean and healthy skin if you don’t drink ample amount of water. Water cleanses the body and eliminates the toxins. Drinking at least 2 liters per day gives the skin a bright, noticeable change in less than a week. It rids your skin of dryness and wrinkles. Salmon is a good source of omega-3, a fatty acid that’s believed to keep your heart healthy. 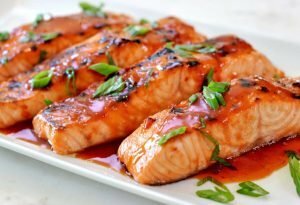 Salmon has proteins for the perfect post-exercise meal. 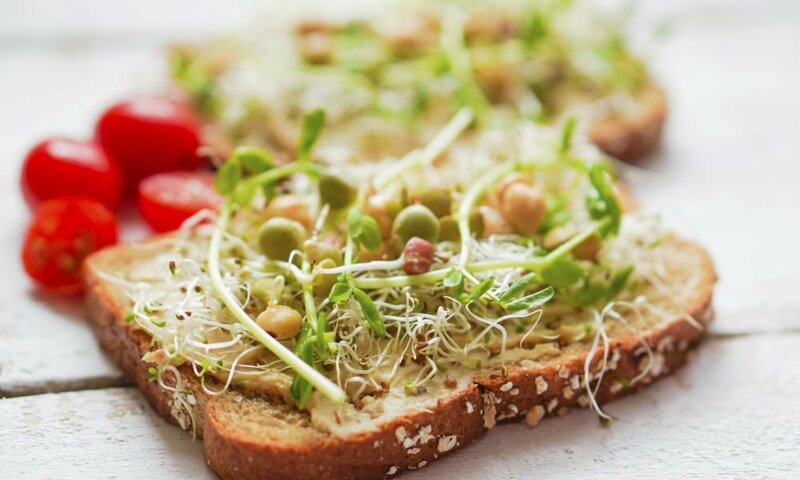 Proteins rebuild and repair muscles, so it’s the nutrient to fill up on after a workout. Protein-packed salmon is a great choice, as well as eggs and lean meats. You are what you eat, and your physical fitness and health depend largely on what goes into your body. That’s why you need to have a proper diet and know what to eat in order to get the body of your dreams.